Taking inspiration from samurai culture, the D-MAX presents a tough, muscular stance with supple, flowing lines. It’s one good-looking ute. See further on dark roads, while cutting glare for oncoming motorists. Also includes daytime running lights (DRLs) for increased daytime safety. Fog lights spread light wider in difficult weather conditions, making sure you don’t lose sight of the verge. Standard on LS models. Side steps not only enhance the tough exterior look, they make it easy to get in and out. Standard on LS-U. Stylish 18" alloy wheels on LS-T are a great looking design but built tough for all terrains. 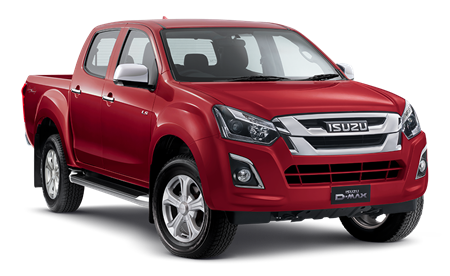 The Isuzu designers have taken inspiration from Japanese culture and integrated the elegant curve of a Katana (a traditional Japanese sword) into the doors of each and every D-MAX ute. LED tail & brake lights are as safe and practical as they are stylish—they are brighter, illuminate faster and use less energy. Standard on LS models. Electric fold-in mirrors protect you from accidental bumps in car parks or through forest trails. A large design for easy vision out the sides. Standard on LS-U models. See further on dark roads, while cutting glare for oncoming motorists. Standard on LS models. Stylish 17” alloy wheels on LS-U are a great looking design but built tough for all terrains. 'Rear Wing' Doors swing out a full 90 degrees to make rear access and loading up equipment in the back of the D-MAX Space Cab easier than ever before. Available on LS-U & SX Space Cab. 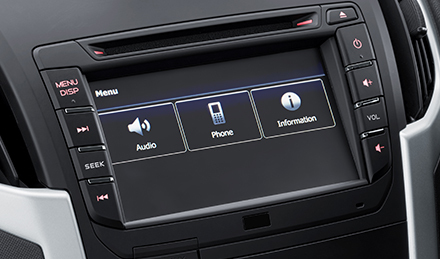 Multiple cup holders & storage points throughout the cabin make it easy to store your gear. Including dual glove boxes & centre console bin and for items large & small. The leather steering wheel puts everything at your fingertips. Not only cruise control but also audio controls as well. So now all you need to do is concentrate on the road ahead. Standard on SX & LS models. 6-speed 'Rev-tronic' sequential shift auto gives you the control of a manual, with the convenience of an automatic gearbox. Intelligent 'grade-logic' technology keeps the D-MAX in the correct gear no matter what the driving conditions. Optional on most models - see Range for details. We've designed the D-MAX interior for comfort and ease of use. Quiet cabin, comfortable seats, plenty of legroom in the rear — everything right where you expect it to be and surprisingly spacious. D-MAX has a lot of hidden engineering features—suspension, sound proofing, body mountings that work together to make D-MAX one of the quietest in its class. Even after a full day of driving, the comfortable and supportive seats won't leave you feeling tired. The D-MAX's ergonomic and spacious cabin gives you and your passengers room to be comfortable and with plenty of leg room in the back of crew cab models. 3-point retractable lap sash seat belts and centre headrests are standard in all D-MAX Crew Cab models. Convenient storage areas have been integrated underneath the rear seating. A simple lift up seat design gives easy access to this handy area on Crew & Space Cab models. We’ve designed the D-MAX interior for comfort and ease of use. Quiet cabin, comfortable seats, plenty of legroom in the rear — everything right where you expect it to be and surprisingly spacious. 5-speed 'Rev-tronic' sequential shift auto gives you the control of a manual, with the convenience of an automatic gearbox. Intelligent 'grade-logic' technology keeps the D-MAX in the correct gear no matter what the driving conditions. 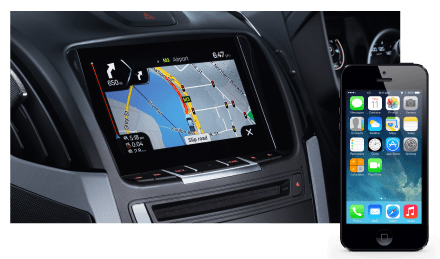 An eight speaker audio system featuring a touch-screen satellite navigation system with live traffic updates is standard on D-MAX LS-U & LS-T models. An eight speaker audio system and featuring a touchscreen display audio system is standard across D-MAX LS-M & SX models. 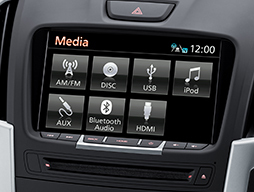 An audio system with digital connectivity is standard on D-MAX EX models. Plug your iPhone® or other micro USB devices directly into the audio system to play music or simply charge it up§. 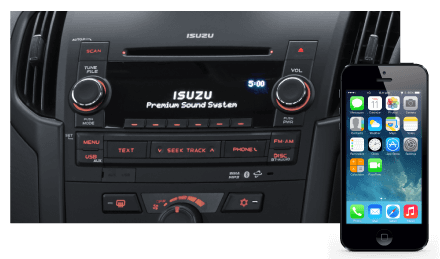 Audio streaming music and hands-free connection to your phone† lets you enjoy a convenient and safe experience. The D-MAX comes in a variety of stylish colours that look just as good in the city as they do cruising down off-road trails.